14 oz. Custom Printed Oktoberfest Steins are just $0.99 for a Limited Time! You Don't have to be a rocket surgeon to know that beer and soft drinks stay colder when you drink them from a stein! These plastic 14 oz. 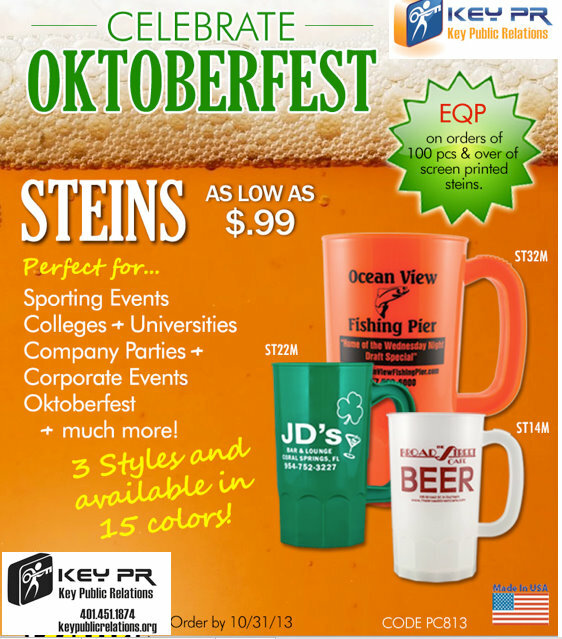 steins come printed with your logo in one color on one location. The only other cost is the $55 to set up your logo or text, and that's already built into the price so WHAT YOU SEE IS WHAT YOU PAY! FREE SHIPPING FOR THE DURATION OF THIS SPECIAL! !